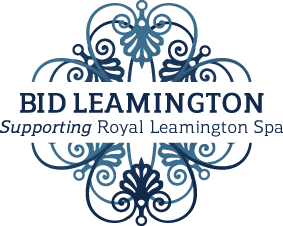 BID Leamington is a non-profit organisation whose duty it is to promote and enhance Royal Leamington Spa to make it attractive to visitors, customers and investors alike. Representing nearly 400 businesses in the Town Centre, BID works with these partners to identify, agree and deliver programmes that increase the appeal of the town and subsequently improve trading performance. In the UK there are now over 250 established Business Improvement Districts. They now represent the interests of an estimated 80,000 businesses who are investing around £75m of levy income annually and levering in significant amounts of additional income in our urban areas. Around 90% of BIDs have been voted for a second term and now a number are entering their term, meaning that local businesses have voted to continue delivering valued projects and services through the BID model for a further 5 year term.